WASHINGTON: A Republican Senator, who was recently in Afghanistan, has proposed the US government to offer Pakistan a free trade agreement (FTA) as an incentive for Islamabad to push the Afghan Taliban to the peace table. In an interview with CNN, the South Carolina Senator said that now the US should focus on the emerging threat of Daesh. ‘It can be done if Taliban are brought to the table and Pakistan can play an important role,’ he said. Senator Lindsey Graham is considered close to President Donald Trump. "Right now, after having been back from Afghanistan, I can tell you that Daesh is on the rise in Afghanistan. But if Pakistan would help us, we could get Taliban to the table and end the war in Afghanistan. 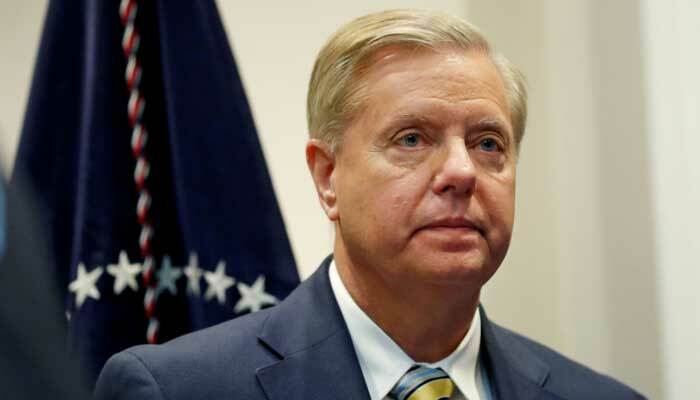 Our presence then would be focused on counterterrorism, Daesh," Graham told the news channel on Sunday. "If we can go to Pakistan and put a free trade agreement on the table to get the Pakistanis to push the Taliban to the peace table, and you can end the Afghan war," he added. The South Carolina Senator also praised the US President for his aggressive foreign policy and decisions on national security front. A year after accusing Islamabad of 'lies and cheat' Trump has expressed his desire to have 'great relationship' with Pakistan. Pakistan has played a key role in starting peace talks with the Afghan Taliban held recently in UAE. Trump says he want 'great relationship' with Pakistan.